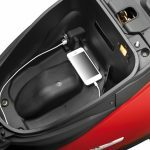 Honda Activa 4g Charger – Mobile is part of life and so do the Activa for 1.5 Cr people of India. Yes, Last week Honda sold 1.5th Millionth unit and made history in 2 wheeler market. 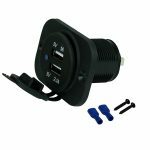 If you are the one who drives Activa and looking for a charger, well below we have collected from Amazon.in and you may like to give a try. Two-wheeler company like Honda, are good at innovation and they have introduced the new Activa 4g charging point where you can charge your mobile while on the go. so gone are the days when only car owners were enjoying the comfort of charging port on the go. Please have a look the list of some best charger for Honda Activa 4g and you can buy the same from Amazon India. If you have bought Activa 4g, you may know there are features which help you to charge mobile on the go. many people are really not aware of this features and don’t know how to charge mobile in Activa 4g & done know where is mobile charger in activa 4g. Open the Seat and Find the Charging Point in Right-hand Side. If it showing, Congrats your phone is connected and charging. With this Blackcat Bike Battery charger, you can never ever lack battery on the go. Double USB Port 2.1 A & 1A, Input: 12V, Output: 5V. It’s easy electrical wiring makes it simple to set up in your home. Simply plug in and turn on the ignition and the charging will begin instantly. i bought honda activa since 3 month back but still (Rohan honda, chakan) showroom din’t give me the charger socket. he told that it is in shortage. what to do??? Same happens here. Is their any way to get that charging socket??? Please visit your dealer and let them know. I buy activa 4g now in that vehicle their is no charging port.then why the company say the availability of changing port?? ?